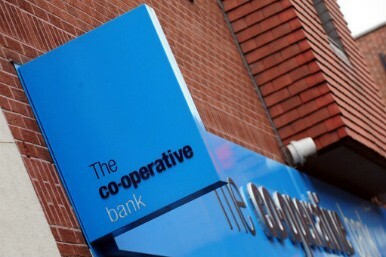 The Co-operative Bank has been punished by the regulator after it delayed valid claims for payment protection insurance (PPI) compensation "for no good reason". It is likely that a significant proportion of 1,629 complaints were unfairly put on hold by the Co-op while a judicial review into PPI complaints was in progress, the Financial Services Authority (FSA) said. Issuing a fine of £113,300, the FSA said it had made clear to the industry that many claims should continue normally while the review was taking place. Despite the warning, the Co-op put in place a policy that was likely to lead to complaints not being dealt with properly during the legal proceedings, the FSA said. The Co-op admitted that it had not lived up to its reputation for "doing the right thing" by customers in this instance, but said it is confident that there will be no repeat of the delays. The complaints were held back between January 21 2011 and May 9 2011, before the conclusion of an unsuccessful High Court challenge by the British Bankers' Association (BBA) over FSA measures regarding PPI complaints. The BBA confirmed in May 2011 that it would not appeal against the High Court's decision that rules relating to the mis-selling of PPI could be applied retrospectively. The regulator had sent out a letter to the industry in January 2011, warning firms that they risked enforcement action if they failed to treat complaints fairly. The letter said that many claims should continue as normal during the legal proceedings. Tracey McDermott, the FSA's director of enforcement and financial crime, said: "While nobody suffered any financial loss, Co-op's actions meant that a significant number of people had the resolution of their valid complaints delayed for no good reason. We will continue to take action where we find PPI customers have not been treated fairly." The Co-op had agreed to settle at an early stage of the FSA's investigation, meaning it qualified for a 30% discount. Without the discount, the penalty would have been £161,910. A spokeswoman for the Co-op said: "Our strong reputation within the banking sector has been built upon doing the right thing by our customers but in this instance our procedures have fallen short of the high standards rightly expected of us."